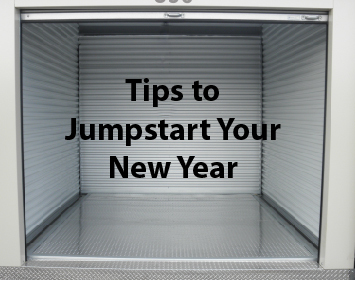 How can storage space help you complete your new year’s resolution? Ocean Storage and Bay Storage provide an easy storage rental for any time of the year. Our storage experts gather organization tips for coordinated storage space and your home. We will show you options for storing your items, all at the storage price you want! Podcasts are useful online episodes with tips for sorting through your belongings, office, even your life. Learn how to refresh your space with a few podcasts for the new year. Make 2019 all about simplicity! After you go through your valuables and decide what stays and what goes, listen to The Art of Simple. Learn about spring cleaning, simple living, and more! The hosts will walk you through what is best to keep or toss. Have keepsakes you are not ready to part with? Self storage can be a great solution for storing those memories or seasonal items until you are ready to use them. Make your resolution getting fit in 2019 and stick to it with the help of podcasts. Listen to motivational episodes while at the gym like The Jillian Michaels Show or create healthier mental habits with Happier With Gretchen Rubin. Clean up your space with Ocean Storage and Bay Storage! Our storage facilities in Cape Charles VA, VA Beach VA, Yorktown VA and Norfolk VA are here when you are ready to store. Give our experts a call today!